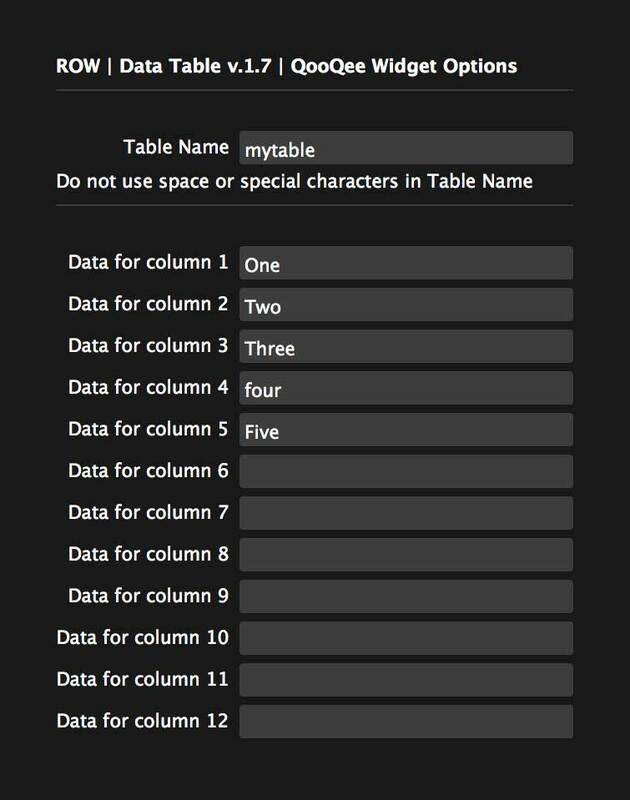 The Data Table widget allows you to easily create unique and fully customized data tables in Adobe Muse. Read below to learn how to set up a basic Data Table. Create your desired amount of rows by selecting a row and duplicating it. This can be easily done by copying (⌘C) and pasting it (⌘V). Go to the main widget option panel > column > number of columns and select how many columns you want. You can add up to 12. Assign labels to your columns. Click on each row and open the options to enter the data for each of your cells. If you have more than one Data Table widget on the same page, you need to assign a unique Table Name to each set of MAIN and ROWS. Learn how to customize the Data Table widget's appearance here.